Of course, I take it as a point of pride whenever my darling husband polishes off a meal I’ve made for us. Big (or, gigantic/humongous/enormous) as his appetite may be, he is a rather picky eater and there are times when I make dinner and it goes over like a lead balloon. It happens. He’s gracious enough (or maybe just really really hungry enough?) to try anything, but sometimes there’s just too much “healthiness” to his liking (direct quote from him: “It just tastes really… healthy.”). I’m not about to sneak fruits and veggies in his diet like I do with my 15 month old, but I am on a mission to make more meals that are tasty but also good for us. And quick. That’s always the name of the game around here (and I’m sure for you, too). These burgers hit the mark on all counts. They’re easy, juicy, full of flavor and they come together from start to finish in 20 minutes flat. Do I hear an “amen”? The weather was pretty cruddy the day I made these burgers so I decided to bake them in the oven rather than grill them. Either method will work great, though, and I’ve given instructions for both below. I used 92/8 ground turkey (that’s 92 percent meat, 8 percent fat) but if you can find even higher fat content (up to 80/20), that’ll make for even juicier burgers that are still quite good for you. Just be sure to cook them a little longer, whether in the oven or on the grill. Finally, don’t forget to top your burgers with the homemade honey mustard (which is really just Dijon mustard mixed with honey, nothing fancy but very yummy) and even a spread of mayo, too, for a little decadence. Be sure to add a few extra blue cheese crumbles on top, because those salty, cheesy bites of goodness cannot be missed. Serve these up with sweet potato fries or a salad (with loads of ranch and croutons for the husband, let’s be real) and just like that, dinner is served. I mean, I really do hear an “AMEN,” right? 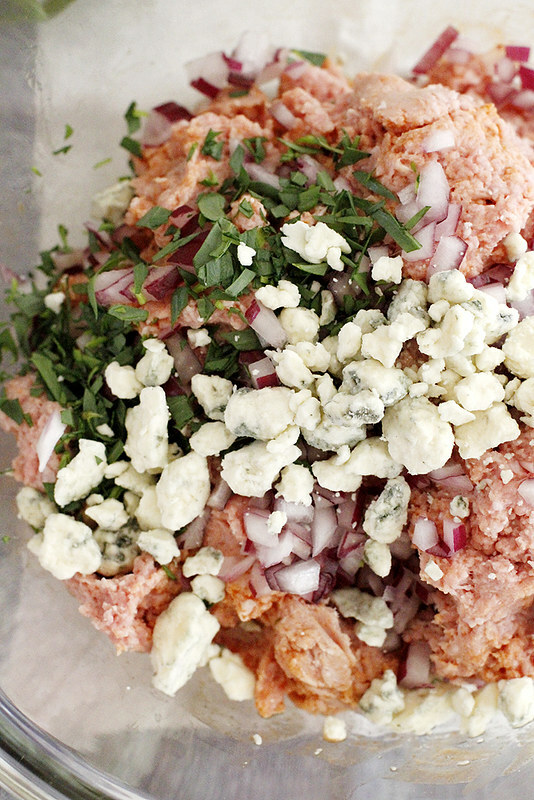 In a large bowl, stir together ground turkey, 1 ounce blue cheese, red onion, tarragon and hot sauce until well combined. Form mixture into 4 round, 3/4-inch thick patties. Place patties on prepared baking sheet. Broil patties 10 minutes, flipping once, until browned and a meat thermometer inserted in center of patties reads 165 degrees F.
Meanwhile, in a small bowl, stir mustard and honey until combined. Spread honey mustard on burger buns, then top with mayonnaise, lettuce, red onion and/or any other desired toppings. 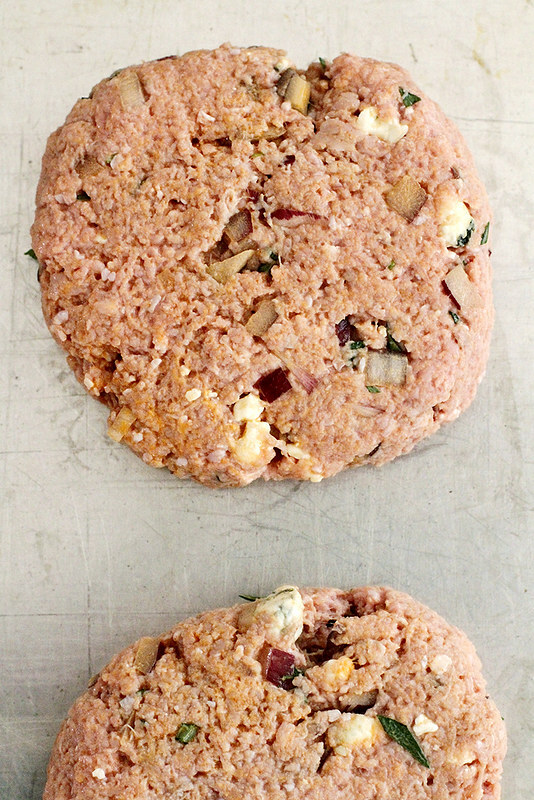 Top each burger with a patty, then top each patty with remaining blue cheese crumbles and tarragon leaves. *NOTE: Alternatively, patties can be grilled. Heat a gas or charcoal grill to medium heat and cook patties on greased grates (grill covered), flipping once, 10 minutes until a meat thermometer inserted in center of patties reads 165 degrees F.
Oh man, I love the flavours that you’ve used here. 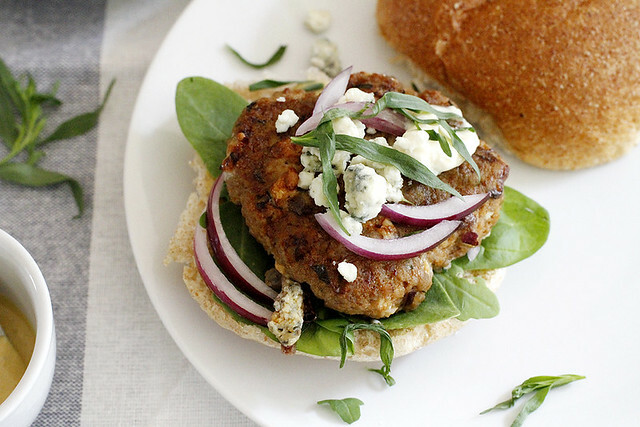 I’m partial to a good turkey burger but tarragon + blue cheese? So delicious. I’m not surprised that they all got eaten up so quickly! I have a similarly insatiable husband over here. Maybe if I made a batch of these JUST for him, he would finally be satisfied?! Hahaha I hear that as well, “It just tastes healthy, good, but healthy.” So with you. These burgers….I would have them gone by midnight as well. I love a good turkey burger! YUM! I love turkey burgers–this sounds like such a unique + tasty combo! 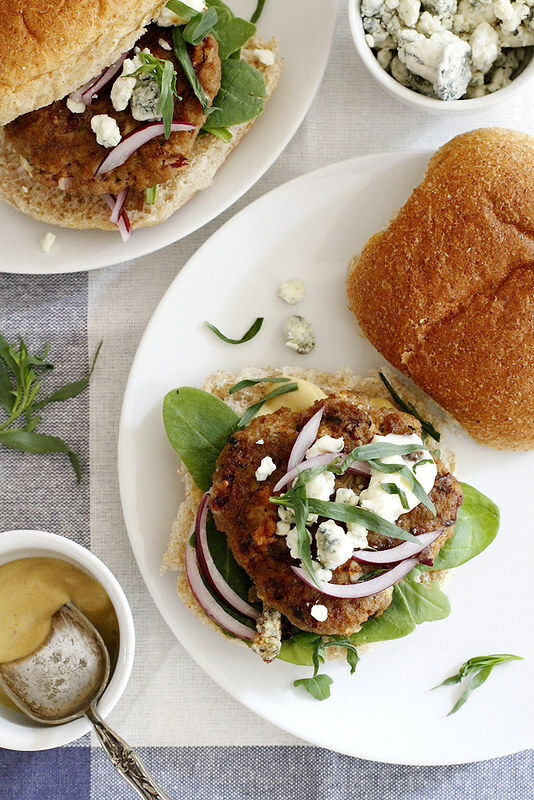 Ahh I love jazzing up turkey burgers and these look absolutely divine! Honey mustard, blue cheese and tarragon? What a wonderful combination! I can’t get Alex to eat turkey, but I’ll be making these with ground beef soon! I swear my husband eats three times what a normal human eats! He just never gets full! 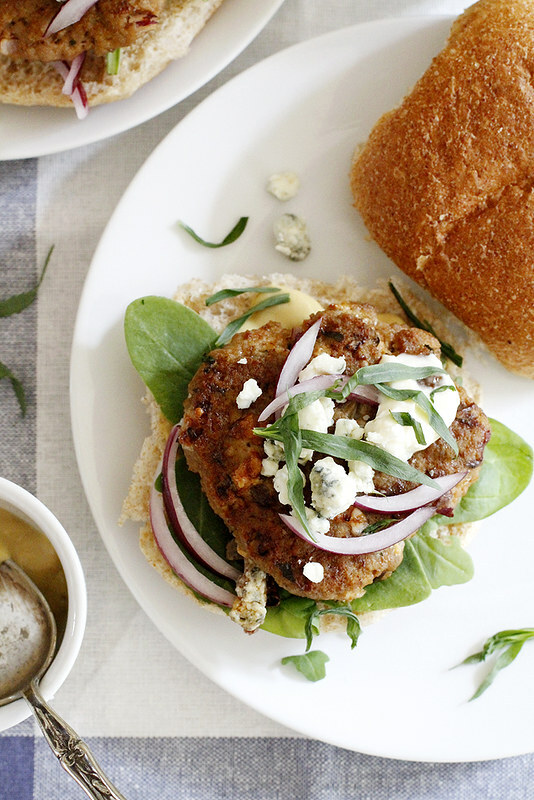 I am a huge fan of tarragon so these burgers are right up my alley! Dang girl these sound SO GOOD! I’ve only made turkey burgers once (we don’t cook a ton of meat at home), but they were delicious and so easy. What am I waiting for?! Ah! Love this. 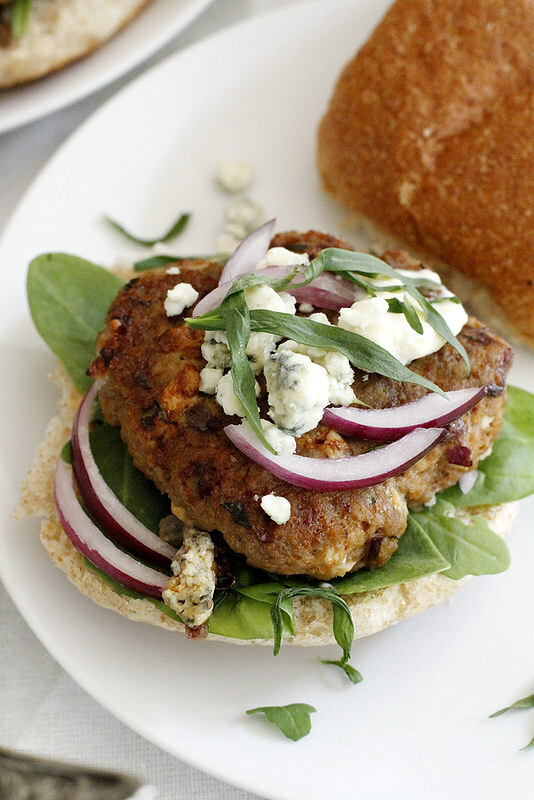 This is one turkey burger that I know I can get my husband to eat, he loves any burger with blue cheese! We have to try these soon! AAAAMEN!! I mean, these look incredible. I love honey mustard on anything and a turkey blue cheese burger sounds just about the perfect dinnertime meal right now. Love it!! Seriously, AMEN! This looks incredible. Great web site and recipes. Just wish people would be helpful and comment on the results of making a recipe…..
Too much of an instant society I suspect.